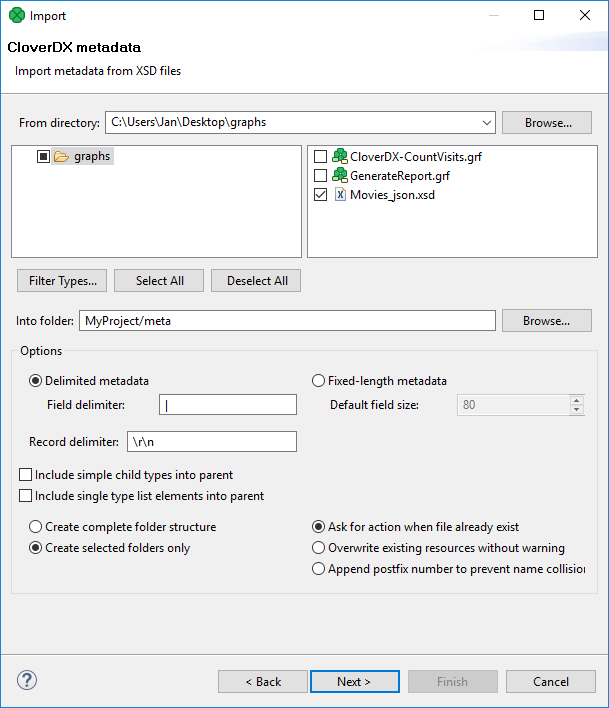 Select the right metadata and specify the source and target folder for copying the selected metadata. By switching the radio buttons, you decide whether a complete folder structure or only selected folders should be created. You can also order to overwrite existing sources without warning. You can specify the delimiters or default field size. 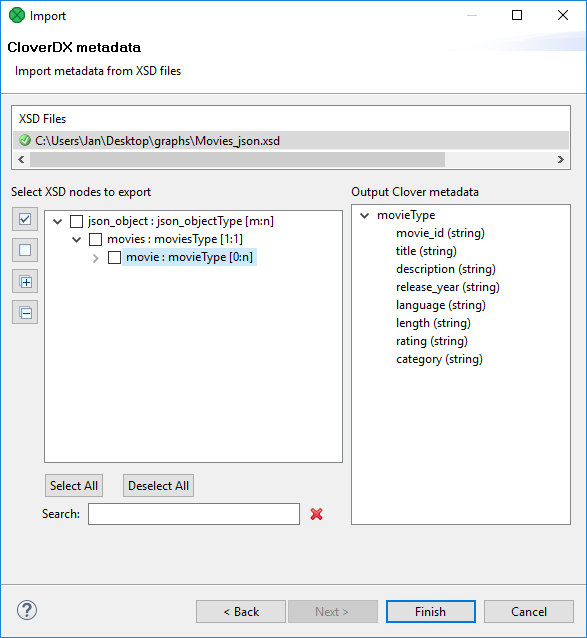 You can review the metadata to be imported. Import the metadata using the Finish button.